Microsoft always tries to make Windows user-friendly in every aspect. Windows 10 is a clear example of that. It has tonnes of new features, along with old features with a tweak. But they have removed quite a few features from it too. If you have ever played a DVD in Windows 7 or Windows 8/8.1, you might have noticed the Windows Media Center in it. Well, it is not included in Windows 10. We know nowadays not many people use CD’s or DVD’s, but at least we should have an option. Microsoft has removed built-in support for DVDs from Windows 8 and Windows 10. You can still play video DVDs on Windows 8. What about Windows 10? How to play DVDs in Windows 10? It is still possible to play DVDs in Windows 10. You can still play DVDs in Windows 10. You will have to download and use a DVD player app. There is a licensed DVD player by Microsoft itself, and there are other options as well. Read the methods below to play DVD in Windows 10. If you had your computer’s Windows 10 upgraded from Windows 7 or Windows 8/8.1 with Windows Media Center, then you will find a new app Windows DVD Player. It is also possible you might not find it on your computer. No worries. You can download it for free from Windows Store. But, users performing a clean install of Windows 10 will not get this application for free. If you did a clean install, then this app will cost you money. Currently, this app is available on Windows Store for ₹ 999. And that’s not it. The app has very low ratings because it isn’t a very good performer. Many users have reported about the app crashing when changing DVDs, and many more issues. So, in my suggestion, use VideoLAN VLC media player. It is completely free and easy to use. Just don’t download this player from Windows Store, because it doesn’t support DVDs or Blu-ray. Download VLC player’s desktop version app. After installing the VLC player, simply insert the DVD in DVD drive and open VLC player. Go to Media and select Open Disc. This will play the DVD. If you are unable to play DVD through this method, try the next method. Even after installing a DVD player app, if you are unable to play the DVD, then it’s possible the DVD drive’s driver is not up to date. In this method, we will update the DVD drive’s driver. Follow the steps mentioned below to do so. Step 2. In Device Manager Window, expand DVD/CD-ROM drives. Here you will see your DVD drive’s name. Right-click on it and select Update driver. Step 3. 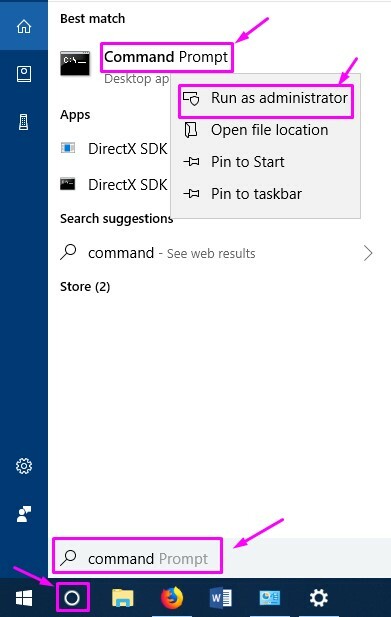 Select Search automatically for updated driver software. 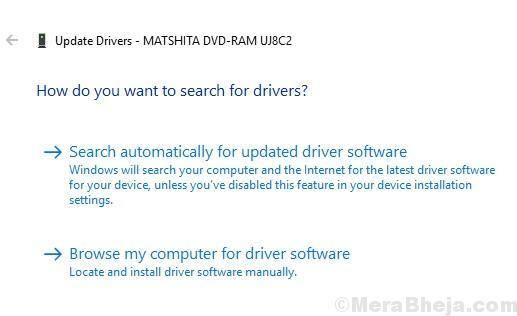 This will download and install the latest driver for your DVD drive. If you cannot find your DVD drive’s name under DVD/CD-ROM drives in Device Manager, then follow this method. We will edit the registry in this method. So, don’t forget to perform a backup of the registry, and then proceed with this method. Step 2. In the Command Prompt window, type the following command and then press Enter. 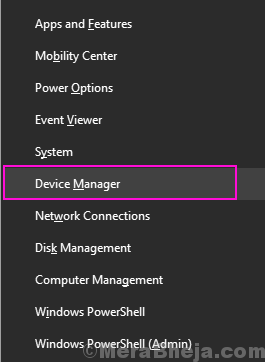 You will be able to find your DVD drive in Device Manager now. If you are still unable to find it, then it is probably some physical issue. Either the cable connecting your DVD-ROM drive isn’t working or your DVD-ROM drive needs to be replaced. Contact your device manufacturer or simply take your computer to the authorized service centre to get it fixed.